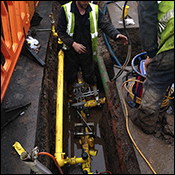 seconnections offers an alternative customer led approach to providing new gas connections and services to our clients, developments and properties. 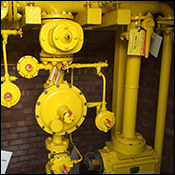 Our team will provide costs for, delivery and management of new gas connections / gas services from the main in the street to the meter. We also specialise in commercial service isolation’s, alterations and diversions. Our friendly and professional team are on hand to offer help and advice to ensure your gas needs are met for any project. Being an Ofgem Approved Meter Installer we are able to carry out new meter installations, upgrades, relocation’s and renewals providing a seamless service and removing the headache of extended delays and disruption to supply. Having our own in house design team allows us to respond quickly and efficiently to our clients needs, reducing lead times for both quotation and construction. Having the design team work closely with our gas engineers on site, seconnections is able to offer a level of service on site that is unrivalled in the industry. Responding to variations and engineering difficulties quickly preventing delays and unnecessary abort costs. For developers we also offer a Multi Utility consultancy service. 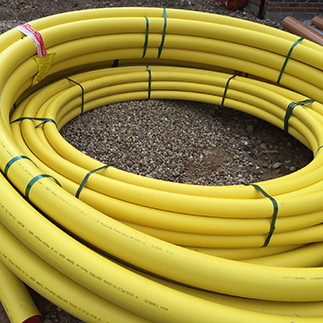 Drawing on our extensive knowledge of the utilities sector to ensure clients get a cost effective and a coordinated approach to their gas electric and water connections. 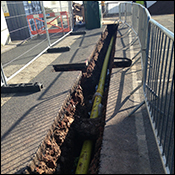 Saving money on ground work and minimising disruption to other trades working on site we can manage the project from initial consultation to final completion. See the full range of services that we offer.